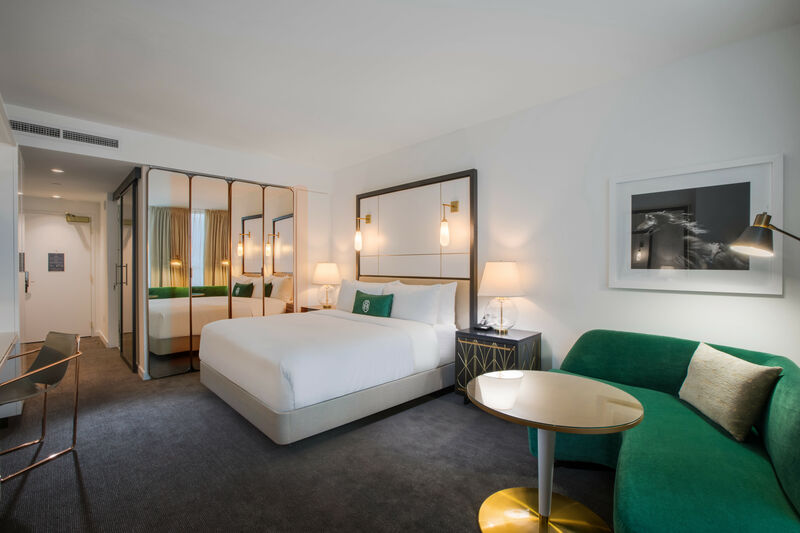 When Houston's Hotel Granduca opened in Uptown Park in 2006, guests looking for a meal could order take-out from Masraff's up the road. 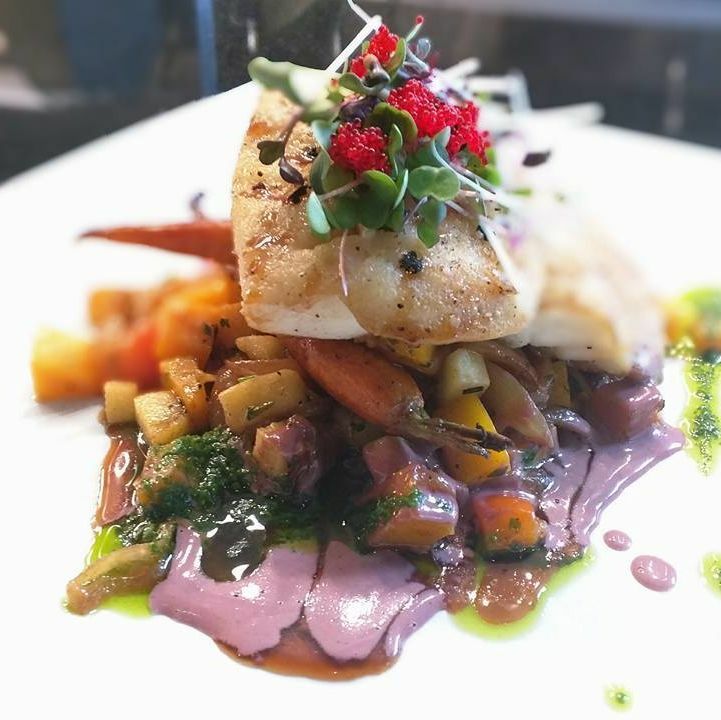 Developer Giorgio Borlenghi has long since added the hotel's own Ristorante Cavour and Bar Malatesta, but the restaurant's early media attention has long since dried up. Enter Enrico Glaudo, a native of Piedmont who began cooking for himself at age eight, despite a chef mother and hotelier grandmother. 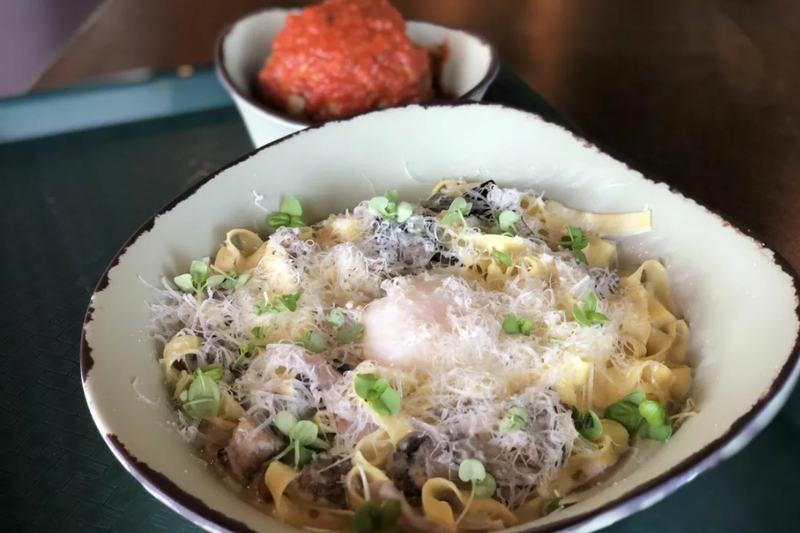 The new chef is providing an overdue reason for Houston to rediscover the dining destination whose cosseted location keeps it off of most diners' radar. Glaudo left the Millennium Biltmore Hotel in Los Angeles to join the Granduca late last year. Though the chef spent the last quarter century in California, his previous work in Italy included cooking at the Michelin-starred Locanda dell’Angelo, a stone-walled fortress of a restaurant that Glaudo says has run continuously since 1632. And while the chef's debut menu at Cavour is more rustic than would likely garner a Michelin star, its use of local ingredients is just as intensely Italian. 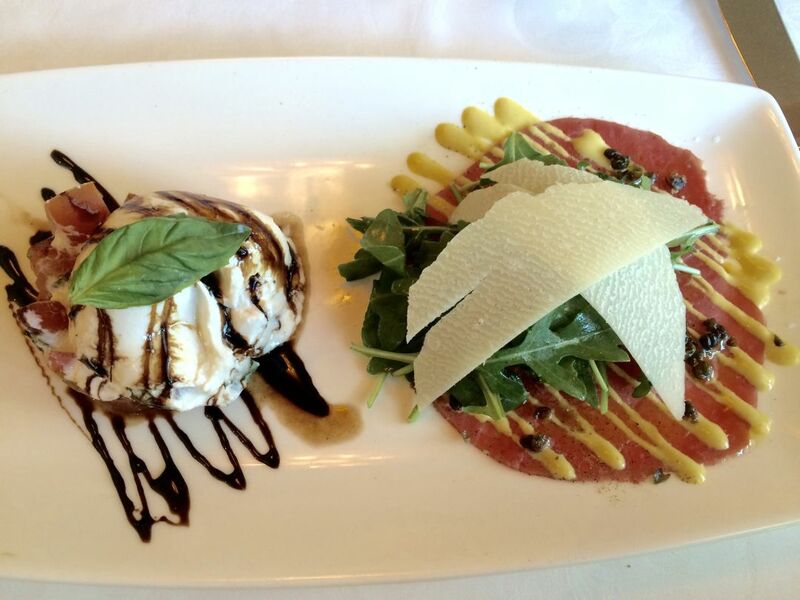 Insalata Caprese and carpaccio di bue. Meats are either Texas-raised or from ethical supplier D'Artagnan. The uncommon insalata Caprese above brings the fresh mozzarella game up a few notches with cream-filled burrata served over a pile of chopped hydroponic tomatoes grown in League City. 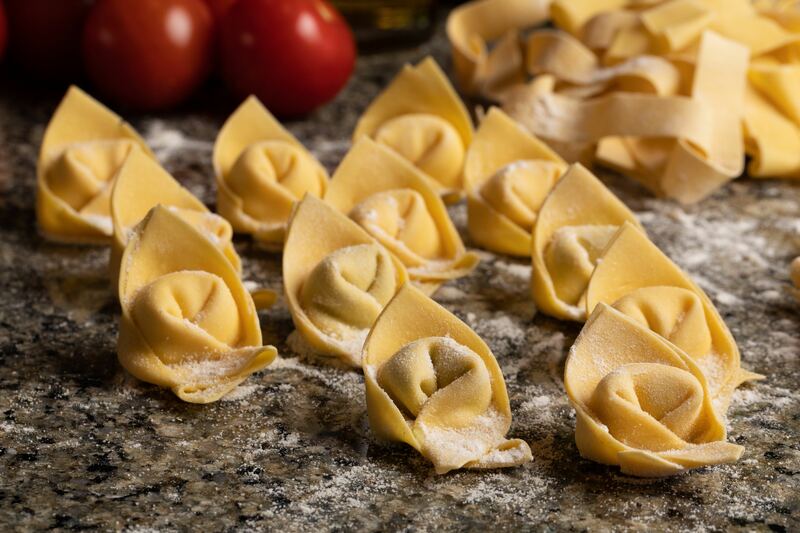 Of course, excellent imported ingredients have a home at Cavour, too. The delicate beef carpaccio is topped with shavings of delightfully sharp Parmesan, as well as crispy fried capers and a piquant lemon-mustard sauce. 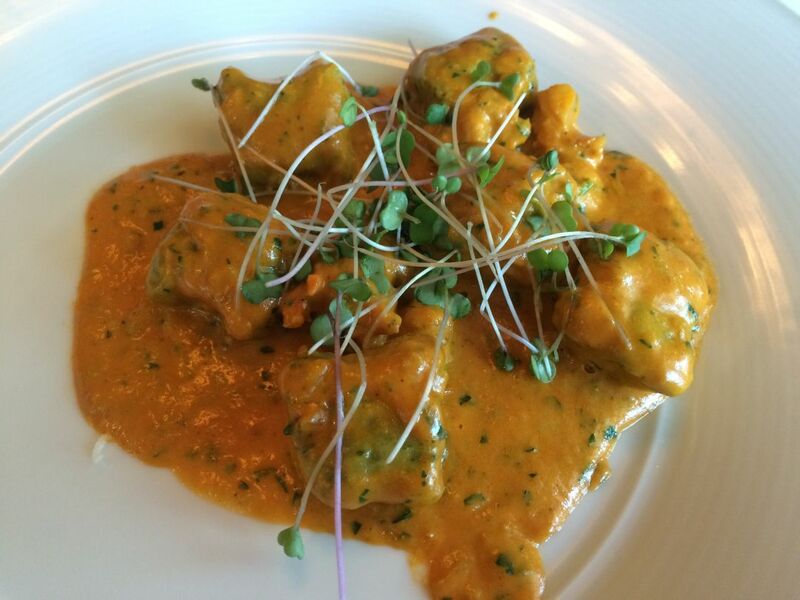 Ricotta-spinach gnocchi with lobster in pink curry sauce. 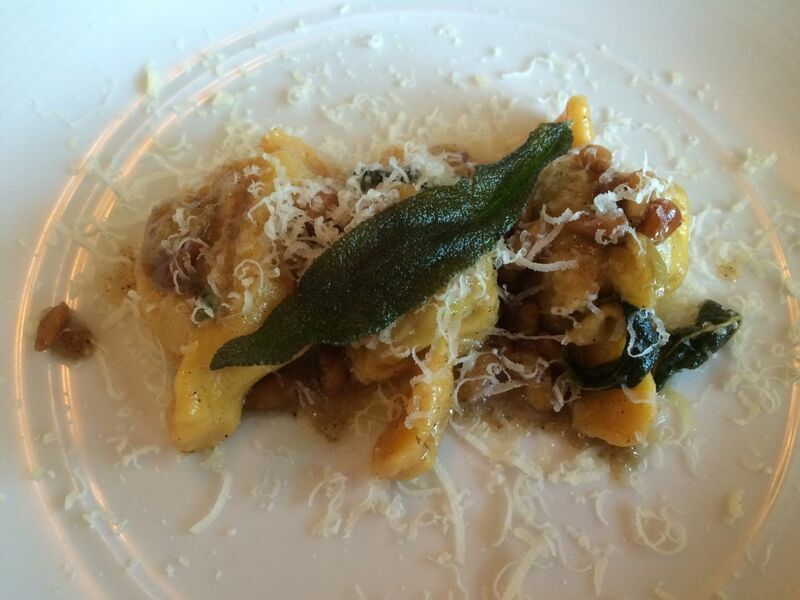 The spinach in the ricotta-spinach gnocchi is hydroponically grown, too, a particular passion of Glaudo's. Another is the Silk Road-influenced cuisine of Venice. The delicate veal-and-sausage ravioli is covered in sultanas and pine nuts for a taste that synthesizes the Middle East and Italy. That gnocchi? It's served with lobster in a pink sauce that, thanks to a whisper of curry, can't help but conjure tikka masala. "We have a lot of rose water, curry, things like that, thanks to Marco Polo," Glaudo explains. "Traditional Venetian fare has a lot to do with the east." 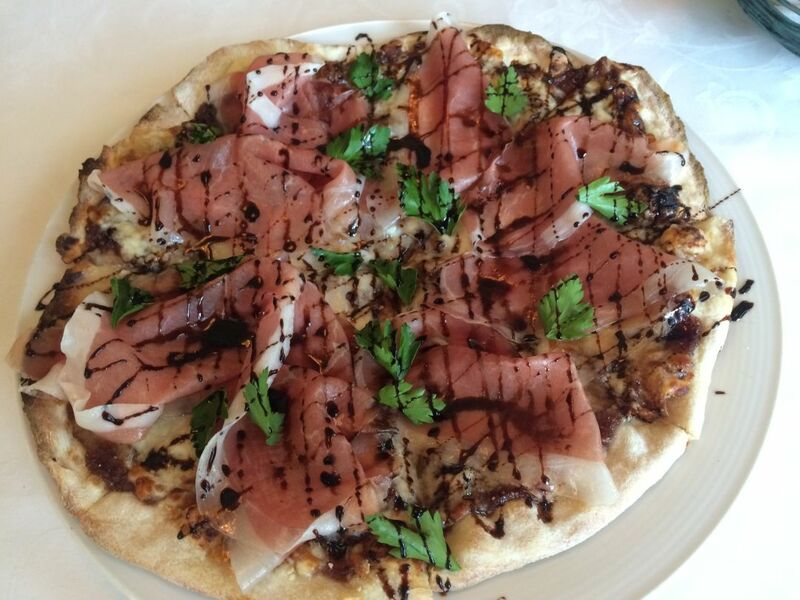 Pizza with prosciutto, fig, Gorgonzola and mozzarella. But a taste of the orient isn't Glaudo's only innovation at Cavour. Part of what drew him to the Granduca was an invitation to redesign the kitchen. The renovated kitchen will be more intuitively designed and will include a stone pizza oven. Construction will take place this summer and early fall, but Glaudo will continue to serve food out of a food truck parked on the property. The menu will be reimagined during those weeks to include dishes commonly served out of trucks in Italy. 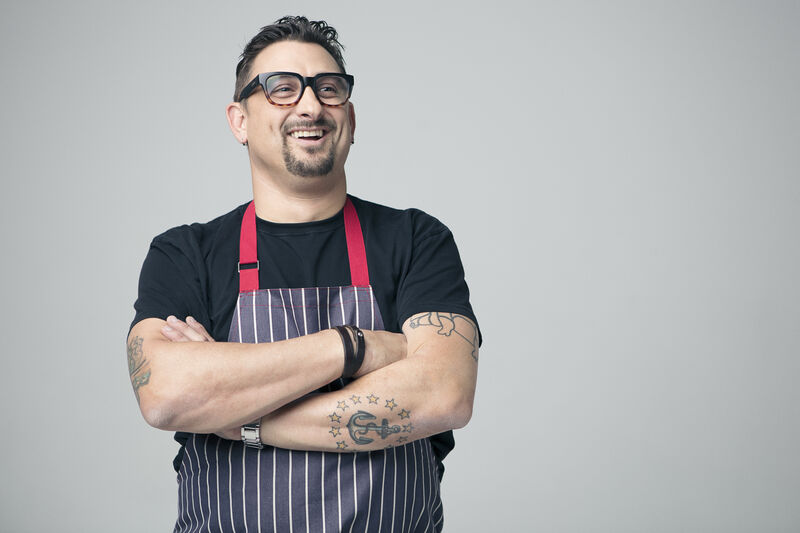 He'll likely include the flatbread known as piadina Romagnola, and may offer up homemade porchetta. Even before construction takes place, Glaudo hopes to serve more "veranda-themed food," as he puts it. "More things you can eat al fresco." That includes pizzas with a broad array of toppings, including the salty and sweet, balsamic-drizzled specimen pictured above. 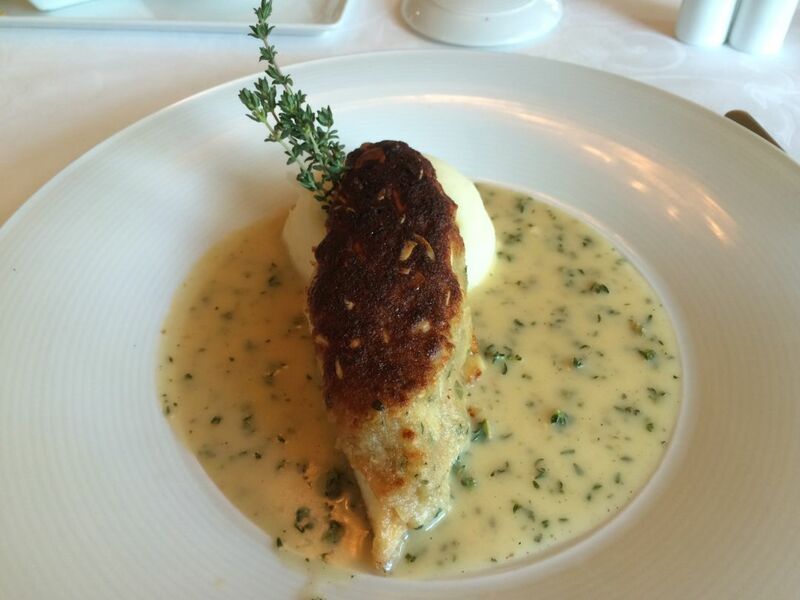 Almond-crusted branzino in lemon-thyme sauce. Glaudo also hopes to connect more with guests. Each room at the Granduca boasts a kitchenette designed to resemble the one in the home of Borlenghi's grandmother. The chef imagines teaching private cooking classes in those kitchens. He'll also likely teach farm-to-table classes at Houston Oaks as part of culinary vacation packages. And those new skills won't be limited to savory recipes. At least for now, Glaudo is his own pastry chef. 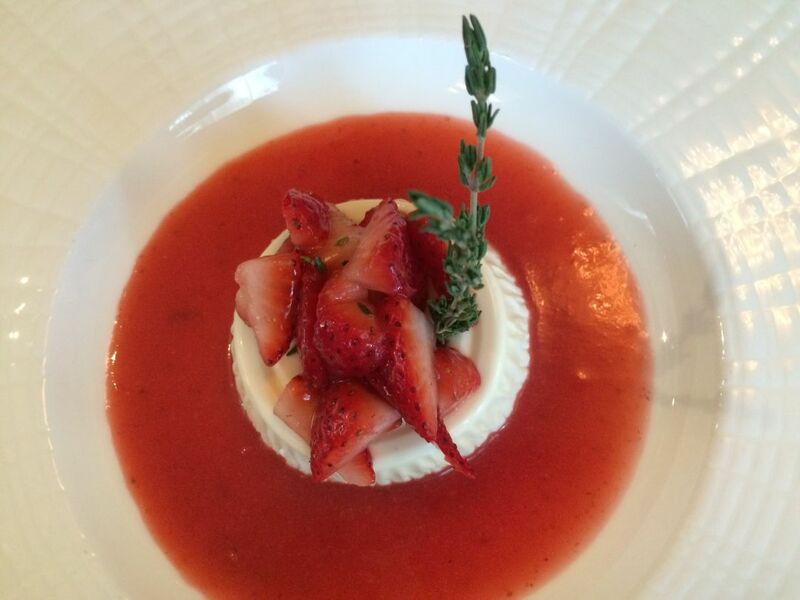 Vanilla panna cotta in fresh strawberry coulis. His jiggly panna cotta isn't just picture perfect, its light vanilla flavor belongs in the dessert's dictionary definition, too. In keeping with his eastern-inflected fare, Glaudo's semifreddo is blanketed in pistachios and served in a blood orange-cinnamon sauce. The crema Catalana (similar to crème brûlée) made with a goat cheese base and served in a pool of papaya sauce? That's his own innovation. And diners will find plenty more where that came from as Glaudo continues to make the Granduca's menu his own. $$$$ American/New American, Continental 1753 Post Oak Blvd.